Wanderers suffered their second defeat of the new season, this time at the hands of Galway Utd at Terryland Park last night. The home side went ahead on 21 minutes through Karl Shepherd and doubled their lead 6 minutes later when Derek O'Brien netted. Substitute Philip Knight pulled one back for the Seagulls in the 41st minute. Wanderers could have grabbed a point in the dying moments when Robbie Doyle was denied by Galway keeper Barry Ryan. Bray Wanderers have added two more players to the squad. Former Shamrock Rovers, Bohemians and Shelbourne player Mark O'Brien has signed for the 2010 season. 25 year old O'Brien made over 70 appearances for Shelbourne and was Young player of the year at Shamrock Rovers in 2004. The current situation between Anglo Irish Bank and Seany Fitzpatrick was just one of the topics discussed on today’s Morning Show with Declan Meehan. Declan spoke about this to Councillor and Greystones resident Ciaran Hayden and local solicitor Donal O’ Sullivan. We discussed this weekends rugby match with former rugby International Shane Byrne and got a preview of Wicklow weekend sport from East Coast FM’s Michael Sargent. We got details on starting your own business with Enterprise Ireland spokesperson Paschal Maguire and we caught up with singer Gilbert O’ Sullivan about his upcoming Dublin gigs. Today’s Morning Show also included an update on the continuing unread x-ray scandal at Tallaght Hospital with Irish Patients Association spokesperson Stephen Mc Mann. David O'Neill who was stretchered off in Bray's final pre-season game with Drogheda Utd. will miss his second League game when he misses out on the trip to Galway, while Philip Knight who went off last week after just 13 minutes with an ankle injury is considered doubtful. Eddie Gormley however does welcome back into the squad central defender Dave Webster who has been missing with a knee injury, picked up pre-season. The continuing story of the unread x-rays scandal at Tallaght Hospital was just one of the topics discussed on today’s Morning Show with Declan Meehan. Declan spoke about this to Irish College of General Practioners spokesperson, Dr Neil O’ Cleirith and Labour spokesperson for Health Deputy Jan O’ Sullivan. Declan also heard reaction to the HIQA guidelines on Children in Care from Childrens Rights Alliance, Deputy Chief Executive, Maria Corbett, discussed the possibility of a credit card interest rate hike from tow of our Major banks with Money Doctor John Lowe. Today’s Morning Show included a discussion on the Good Friday ban on the sale of Alcohol and an update on the current situation with Aer Lingus from Impact Communications Officer, Niall Shanahan and Aviaton author and Journalist Gerry Byrne. We heard why you could be paying for uninsured motorists from AA spokesperson Conor Faughnan, got pet care advice from Vet Pete Wederburn and Holiday Doc Joe Supple dropped in to give travel value tips. There was a story in the papers this morning about Jedward making a movie, in reality it's just the lads messing around on their mobiles! Anyway if you are a fan here is the Jedward "movie"
Matches to be played on or before Sunday April 4th. The unread x-ray scandal at Tallaght Hospital was the main topic on today’s Morning Show with Declan Meehan. We heard reaction from Tallaght Hospital Action Group spokesperson Richie O’ Reilly and West Wicklow Councillor Tommy Cullen. We also heard comment from Patients together spokesperson Janette Byrne and Steven McMann from the Irish Patients Association. On today’s Morning Show Declan heard details on the seven arrests made in Waterford yesterday following an alleged threat on a Swedish cartoonist, we were told about National Tree Week and we got the latest on Nothern Ireland. 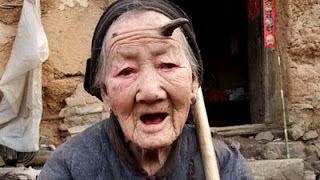 A 101-year-old woman has grown a horn on her head - and now fears she's growing another one. Zhang Ruifang, of Linlou village, in central China's Henan province, noticed a small lump on her forehead last year. But it is now six centimetres long - and a small lump has now appeared on the other side of her forehead. Her youngest son, Zhang Guozheng, 60, said the horn started as a patch of thick, rough skin on the left side of her forehead. "We didn't pay too much attention to it at first," he said. "But as time went on it just grew and grew. "And now there is something growing on the right side of her forehead and it seems quite possible that it's another horn." Zhang has seven children - six boys and a girl - and many grandchildren. Her eldest son is 82-years-old. The family live in a rural area and don't have the money to send her to hospital - but they say she is in no pain and enjoys a peaceful life. Yesterday’s resignation of Minister Martin Cullen from the Dail was just one of the topics covered on today’s Morning Show with Declan Meehan. We heard comment from FG Deputy Andrew Doyle and Labour Councillor Nicky Kelly on how Minister Cullen had failed County Wicklow on the N11. The show also featured an interview with Irish and Nutrition Dietetic Institute, Nutritionist Margot Brennan who gave her reaction to a recent study which claims that drinking wine could aid weightloss and we caught up with Former World Snooker Champion Ken Doherty about his fantastic news on qualifying for this years World Championships. Last night’s Oscars were just one of the topics covered on today’s Morning Show with Declan Meehan. We heard a review of the winners and losers of this year’s ceremony from Morning Show reporter Laura Wood and caught up with Showbiz Correpsondent Mark Hayes live from Tinseltown at an Oscars aftershow party. On today’s Morning Show Declan discussed St Patricks Day junkets and the differing plans of each town council with Councillors Eugene Finnegan, John Ryan, Peter Dempsey, Chris Maloney and Irene Winters. Wicklow Times Editor, Shay Fitzmaurice also shared his views on the matter. The show also featured an interview about International Womens day with Baltinglass woman based in Tanzinia, Oxfam Irelands Country Programme manager Monica Gorman. Lonely Planet travel editor Tom Hall explained to listeners why Ireland has been voted one of the friendliest destinations on the Planet and we discussed the future of Newcastle Hospital with former employee and Friends of Newcastle Hospital secretary Fred Rountree. O the craic ! O the fun ! To win loads of Lotto mon ! Enjoy the cities big,bright lights! Enjoy their delight as all strife ends! I'd order a kitchen .Maybe a car! The choices go far ! The two who made my dream come true! Laura and Rob I'd definately share it with you!